Western Raceway is an 80 acre off-road motorsports park located just 30 miles from the Hoover Dam in White Hills, Arizona. The main track has a 2+ minute lap time. Consisting of a wide variety of challenging obstacles, it’s sure to excite even the most advanced riders with a variety of doubles, triples, rhythm sections and more! Our vet/beginner track is designed with safety first for all ages and skill levels. We have over a dozen table tops with a “land anywhere” design. This means you can hit any of them at any speed safely, without breaking your flow. Build your skills and confidence while having fun! Our kiddos will surely have some excitement while learning to ride on our Pee Wee track. The awesome table tops and turns are made with safety in mind (for mom and dad), while the kids will feel like they are riding a “true” track. 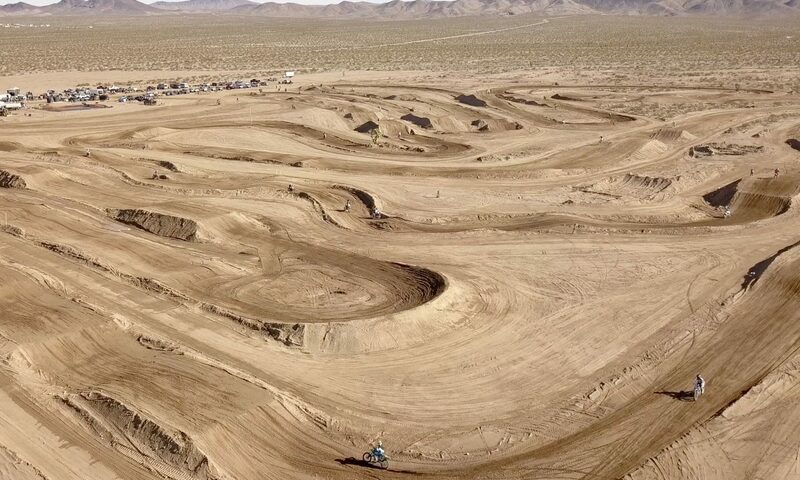 No flat and boring Pee Wee track here! Is for skill levels that fall in between the Vet and Main tracks. This is our most popular track. It has a 30 bike starting gate.